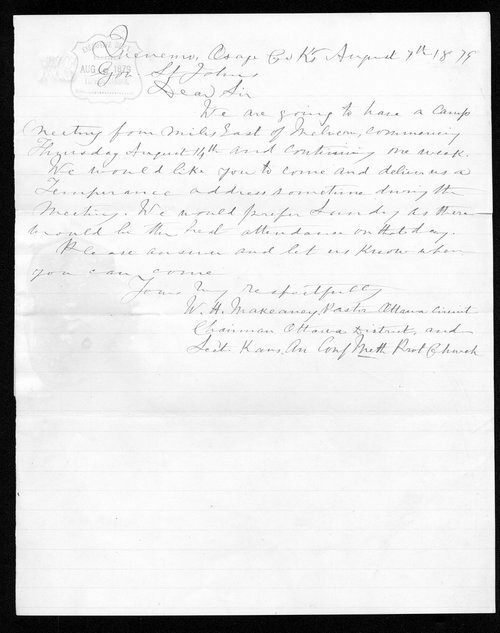 Kansas Governor St. John is invited to speak on temperance at a camp meeting in August near Melvern, Kansas. Pastor Makeaney, writing from Quenemo, Osage County, Kansas, would prefer a Sunday speech, taking advantage of the maximum attendance that day. MaKeaney is a Methodist minister.